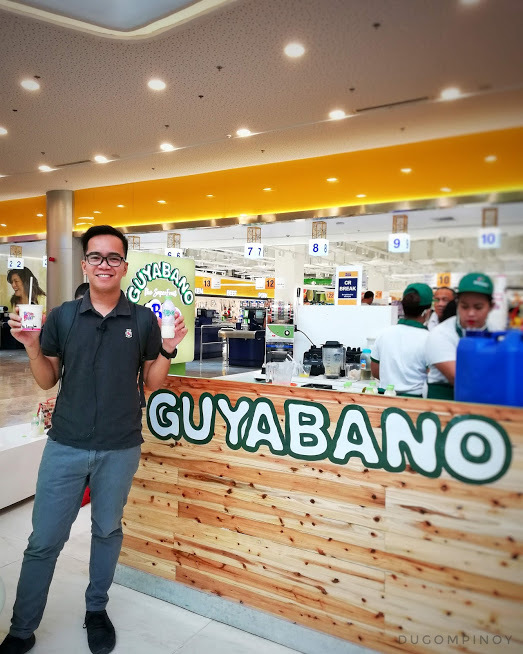 Last October 6, Davao Bloggers Society was invited by Barefruit Guyabano at their NCCC Mall Buhangin branch to try some of their offerings. Since I also had an event at the said newest shopping mall in Davao City where we were treated to the first cinema in the city equipped with Dolby Atmos surround sound technology (you can read more here), I took the opportunity to drop by as well together with a couple of fellow Davao bloggers to see what they have in store for everyone. They have a lot of offerings actually when it comes to fruit shakes and juices. But the main star of their menu is Guyabano. You can buy Guyabano juice or shake. If there something unique that they really do offer, I guess it would be the options to buy the Guyabano juice or shake and mix it with other fruits such as Langka, Mango, Avocado, Cucumber or even Four Seasons and many others. Among them, I personally tried the one with Langka, Cucumber and Four Seasons, and of course the Guyabano itself. Since I really love fruits and vegetables, I don't have any problem with them being mixed or combined together, that said Barefruit Guyabano's offerings is something I really liked right off the bat. Those other flavors taste good but you can actually barely taste the Guyabano fruit in the mix, perhaps because they put tiny amount of it. But the pure Guyabano flavor is what really caught me upfront. The flavor was so rich and creamy and does not taste too sweet. Guyabano is also one of the fruits that I really like and I make sure to purchase some of these whenever we go doing the groceries at local shopping malls, especially when there are some on display. We were also able to talk to the owner of this branch on that date and she told us that one of things they are most proud of having the business is that most fruits that they sell, especially the Guyabanos, are farmed here in Mindanao, in Gensan, by local farmers. So the Barefruit Guyabano company owners like some sort of hired local farmers from the region to grow these fruits for the business. So that means whenever you purchase from Barefruit, you are not only supporting the local business, but also our local farmers from General Santos. Cool right? That being said, apart from Durian and Buko shake (from other stores) that I really really like as well, Guyabano is definitely the newest on that list in this smoothie scene. I failed to ask which other malls they have branches too but this one here is at NCCC Mall Buhangin, and soon they will also have another at the upcoming Gaisano Mall Buhangin which is situated right next to NCCC.